"Thomas, come here with your finger and see My hands. Touch the wounds in My hand. Put your hand into My side. Stop doubting now and believe." By saying this to the Apostle Thomas, Jesus was conveying to us that it is okay for us to probe scientifically into the workings of our universe so that we may all understand His truth and be witness to His kingdom. To fully appreciate the understandings presented in this book one must first resolve to forget everything previously understood about our world. In our magnificent universe nothing is as it appears to be. The single goal of this book is to bring about a better understanding of the divine relationship between science and theology. We are taught that a choice must be made in whether we believe what science is telling us about our universe or what the gospels are telling us about our universe. Universities across this great land preach scientific truth just as religions and church organizations preach that we must disregard scientific discovery and have faith in what was written about our Savior and our world in the gospels. This book, THE TRUTH The Illumination of Conscience will prove that science has never given us a single understanding that has, in any way, discredited anything the gospels have taught us about our world. We should also, know that the gospels of Christ have not stated anything that is not in total agreement with what science has shown us about our world, either. 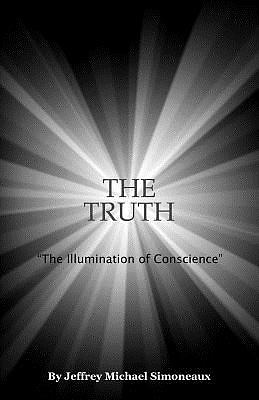 THE TRUTH The Illumination of Conscience will take you on a journey like no other book has before and by doing so it will prove to you that the scientific discoveries made over the years do nothing but reinforce all that we know from the way, the truth and the life. Let your consciousness be illuminated and in so doing we will illuminate the conscience of the world, together.